Home » Blog » Friends » Happy Birthday Jay! One of the cool things about being an author is that you get to hang out with authors. 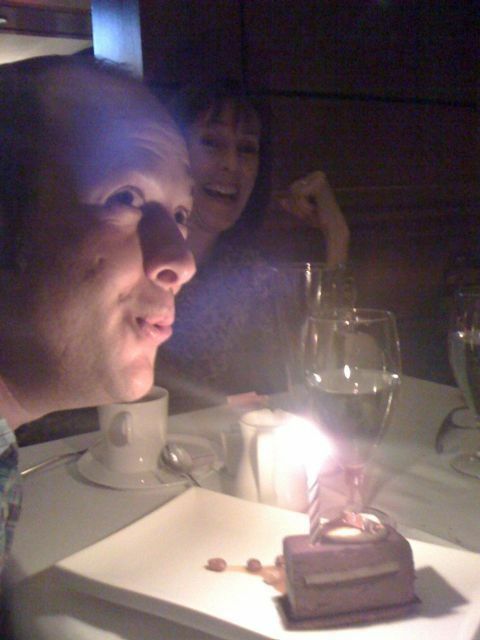 Below, Jay Asher, author of “Thirteen Reasons Why,” blows an (early) wish for his 34th birthday here in Florida…a long way from home…at dinner with Peg Kehret, Stephanie Tolan, Leslie Helakowski, Marie and I.